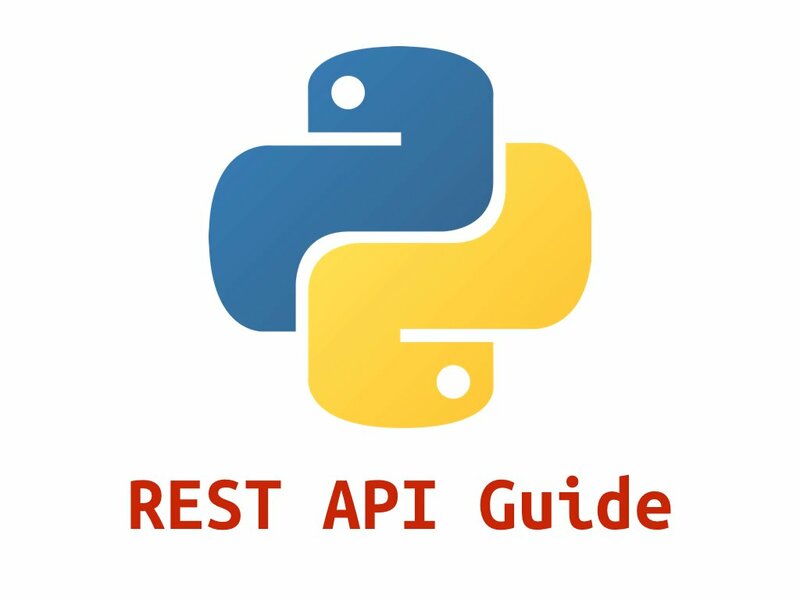 This post walks through the process of developing a CRUD-based RESTful API with Django and Django REST Framework, which is used for rapidly building RESTful APIs based on Django models. NOTE: Check out the third Real Python course for a more in-depth tutorial on Django REST Framework. Browsable API: Documents your API with a human-friendly HTML output, providing a beautiful form-like interface for submitting data to resources and fetching from them using the standard HTTP methods. Auth Support: REST Framework has rich support for various authentication protocols along with permissions and throttling policies which can be configured on a per-view basis. Serializers: Serializers are an elegant way of validating model querysets/instances and converting them to native Python datatypes that can be easily rendered into JSON and XML. Throttling: Throttling is way to determine whether a request is authorized or not and can be integrated with different permissions. It is generally used for rate limiting API requests from a single user. Plus, the documentation is easy to read and full of examples. If you’re building a RESTful API where you have a one-to-one relationship between your API endpoints and your models, then REST Framework is the way to go. Now we need to configure our Django project to make use of REST Framework. This allows unrestricted access to the API and sets the default test format to JSON for all requests. NOTE: Unrestricted access is fine for local development, but in a production environment you may need to restrict access to certain endpoints. Make sure to update this. Review the docs for more information. Let’s set up the Postgres database and apply all the migrations to it. NOTE: Feel free to swap out Postgres for the relational database of your choice! You are now connected to database "puppy_store_drf". NOTE: You can run \d+ puppies_puppy if you want to look at the actual table details. Before moving on, let’s write a quick unit test for the Puppy model.
""" Test module for Puppy model """
In the above test, we added dummy entries into our puppy table via the setUp() method from django.test.TestCase and asserted that the get_breed() method returned the correct string. Add an __init__.py file to “tests” and remove the tests.py file from “django-puppy-store/puppy_store/puppies”. Great! Our first unit test has passed! Before moving on to creating the actual API, let’s define a serializer for our Puppy model which validates the model querysets and produces Pythonic data types to work with. In the above snippet we defined a ModelSerializer for our puppy model, validating all the mentioned fields. In short, if you have a one-to-one relationship between your API endpoints and your models - which you probably should if you’re creating a RESTful API - then you can use a ModelSerializer to create a Serializer. In a RESTful API, endpoints (URLs) define the structure of the API and how end users access data from our application using the HTTP methods - GET, POST, PUT, DELETE. Endpoints should be logically organized around collections and elements, both of which are resources. then update the code to make it pass the test. Once the test passes, start over with the same process for the new test. With all routes now wired up with the view functions, let’s open up REST Framework’s Browsable API interface and verify whether all the URLs are working as expected. You will see an interactive HTML layout for the API response. Similarly we can test the other URLs and verify all URLs are working perfectly fine. Let’s start with our unit tests for each route.
""" Test module for GET all puppies API """
Update the view to get the test to pass. Here, we get all the records for puppies and validate each using the PuppySerializer.
""" Test module for GET single puppy API """
In the above snippet, we get the puppy using an ID. Run the tests to ensure they all pass.
""" Test module for inserting a new puppy """
Here, we inserted a new record by serializing and validating the request data before inserting to the database. Run the tests again to ensure they pass. Be sure the GET ALL and Get Single work as well.
""" Test module for updating an existing puppy record """
In the above snippet, similar to an insert, we serialize and validate the request data and then respond appropriately. Run the tests again to ensure that all the tests pass.
""" Test module for deleting an existing puppy record """
Run the tests again. Make sure all of them pass. Make sure to test out the UPDATE and DELETE functionality within the Browsable API as well! In this tutorial, we went through the process of creating a RESTful API using Django REST Framework with a test-first approach. What’s next? To make our RESTful API robust and secure, we can implement permissions and throttling for a production environment to allow restricted access on the basis of authentication credentials and rate limiting to avoid any sort of DDoS attack. Also, don’t forget to prevent the Browsable API from being accessible in a production environment. Feel free to share your comments, questions, or tips in the comments below. The full code can be found in the django-puppy-store repository.